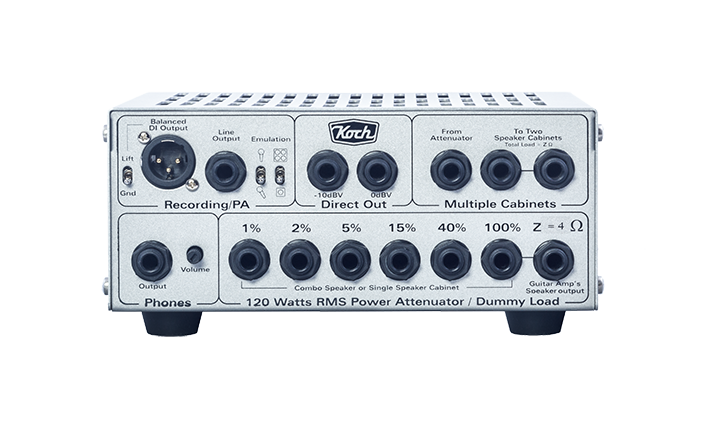 The Koch Loadbox II power attenuator, DI & speaker simulator is an innovative ‘multi-tool’ which should be found in every serious guitar players’ kit. The Loadbox offers solutions for many situations: from live gigs, to rehearsals, to home and studio recording. We understand that quality, tone and clarity are very important to guitar players. Therefore we designed the Loadbox II with extra heavy duty components, stainless steel housing and a host of features. We believe that we have met those criteria. We decided to use jacks rather than a potmeter to select the attenuation level to ensure maximum reliability, and to ensure the best clarity and quality of the attenuated signal. As a straight output power attenuator, the Loadbox can handle a continuous 120 Watts at any of 7 output levels with unparalleled clarity, and without loss of tone. 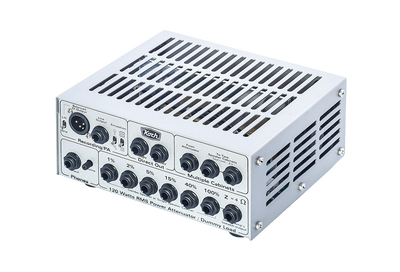 The user also has the choice of various outputs to channel the attenuated signal such as: single or multiple cabinets (depending on impedance), padded or non-padded direct outputs, a transformer balanced XLR DI output and line output for PA/Recording. 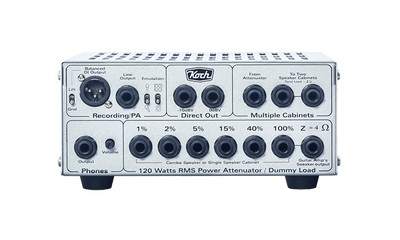 The DI and line outputs both share voicing switches for microphone placement and cabinet style, allowing the user to use the Loadbox as a speaker simulator in any situation from studio recording to live performances. 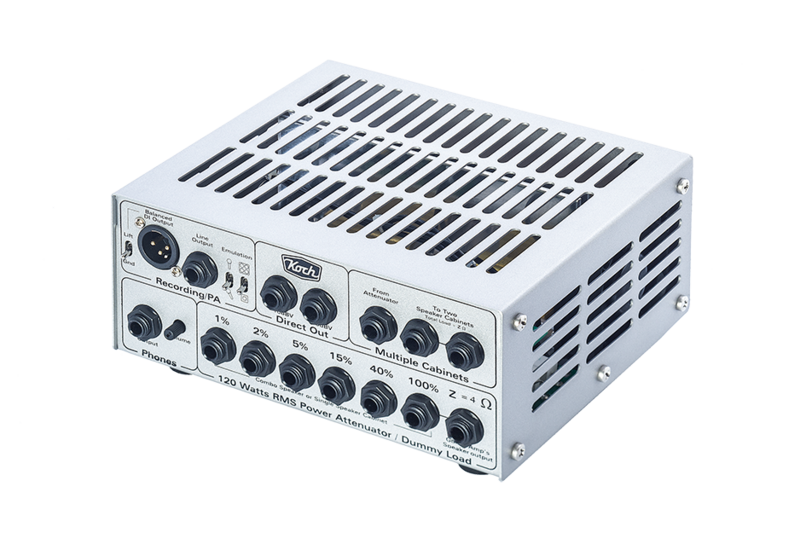 The Loadbox can also be used as a straight transformer balanced DI box with speaker simulator, or to convert almost any amp into a headphone amp for rehearsing and practicing. Whether recording, performing or rehearsing, let your amp run at its fattest, juiciest, and loudest level, to get that beautiful sound of output tube saturation, and use the Loadbox to tame the output to a user friendly volume level. 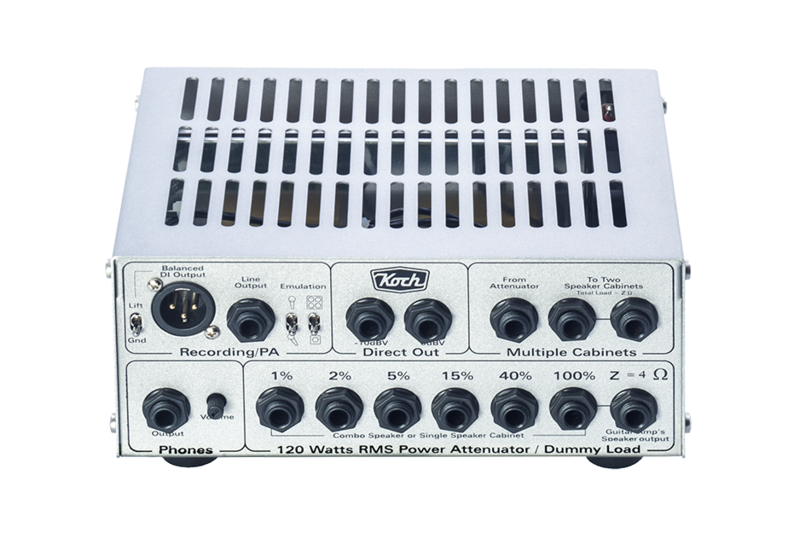 The LB120 Loadbox II is available in 4, 8, or 16 Ohm versions.